2004 Jincheng JC 150 T Eupolo. Picture credits - Jincheng. Submit more pictures. Bought this vehicle before christmas and engine has seized at 518 Kms!!! Repairs to cost me another Dollars 2K !!! Review of the JC 150 T Eupolo submitted on 2010-02-02. Bought this on Ebay for Dollars 2K to Brisbane. Picking up the vehicle was Huge Drama and Getting registered was one too!! The first hiccup was nothing compared to what was to follow. Had vehicle assembled by Pro Honda and OIL topped as advised. 500K on meter and engine seized. Pro Honda took 4 hours to get the engine out to find Oil had leaked in to engine(Incorrectly alligned piston rings), causing less oil and the seize. Sent it for warranty claim and Warranty has been rejected because there is less oil!!! What a joke. New engine to cost me another Dollars 840.. what are the chances this will work¿ Will sell this crap and buy a tricycle for my kid. 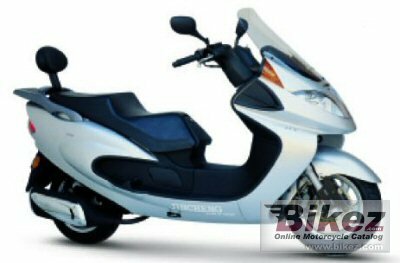 This review of the 2004 Jincheng JC 150 T Eupolo was posted by a visitor on Bikez.com and does not necessarily reflect facts, truth or Bikez.com's opinions. Please report profane or otherwise inappropriate content by following this link.